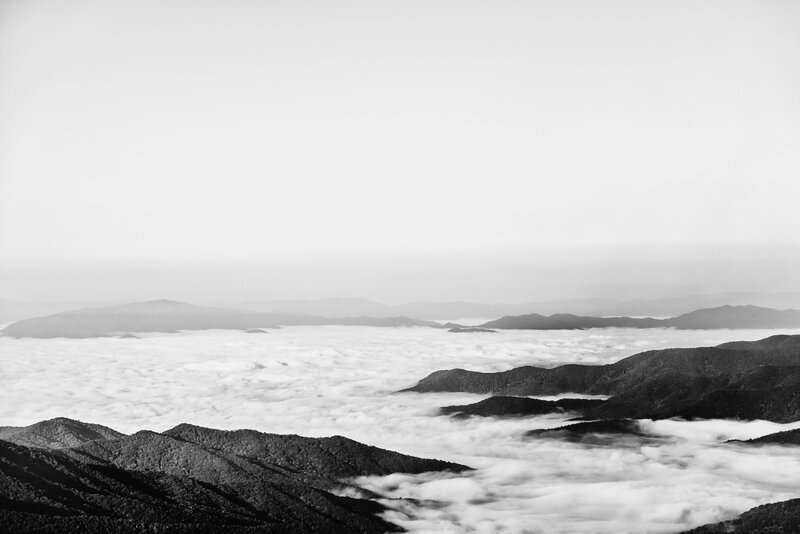 Mountaintops obscured by clouds in Tennessee’s Great Smoky Mountains National Park. 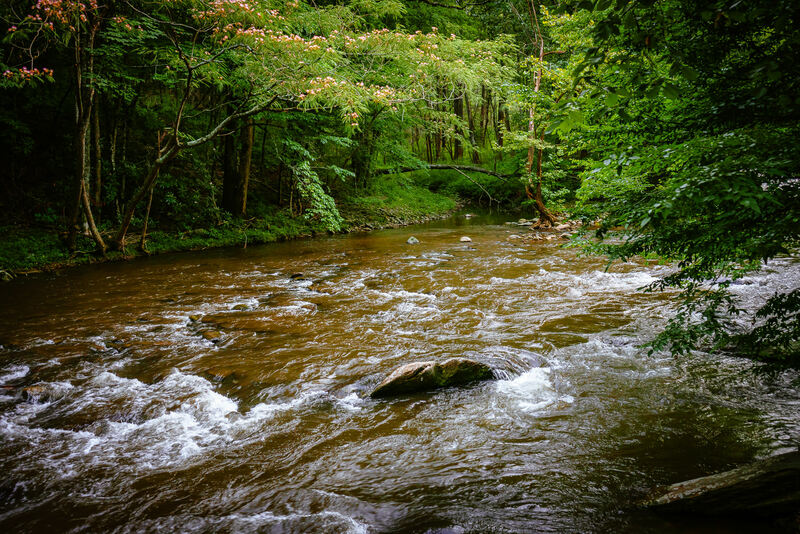 A stream flows through the forest of Tennessee’s Great Smoky Mountains National Park. 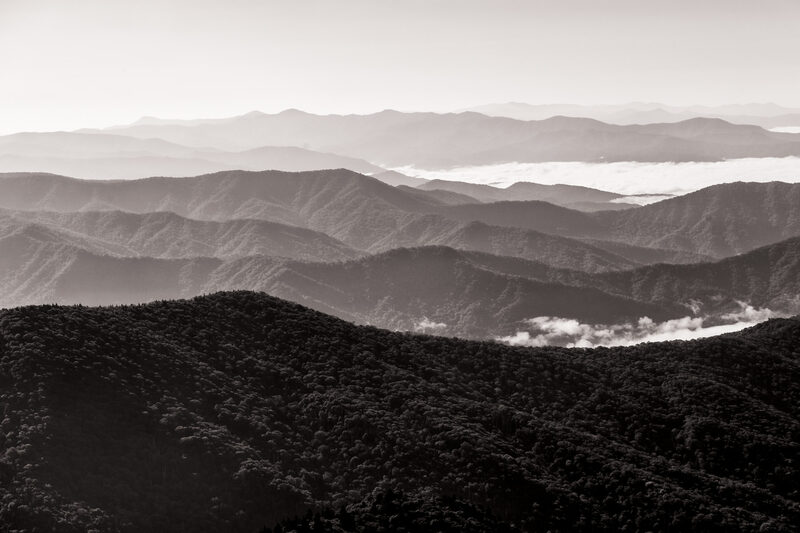 Mountains stretch into the distance as seen from atop Clingmans Dome in the Great Smoky Mountains National Park. 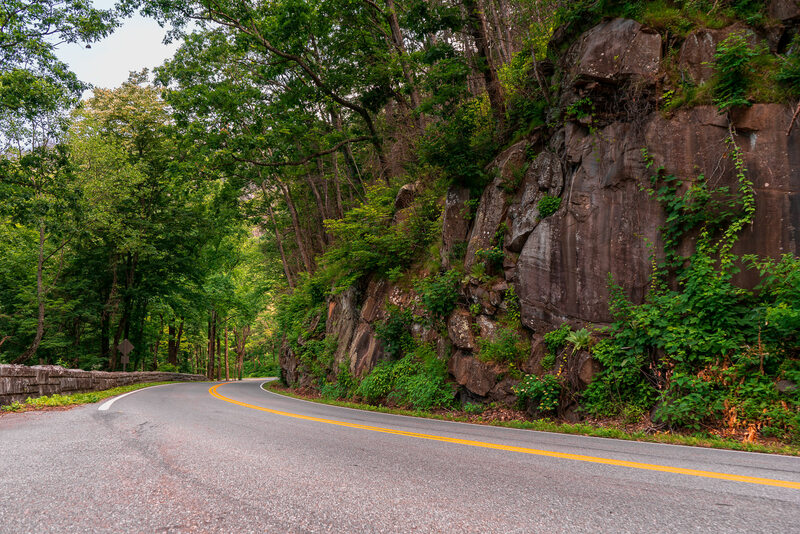 A road curves around a mountainside in Tennessee’s Great Smoky Mountains National Park. 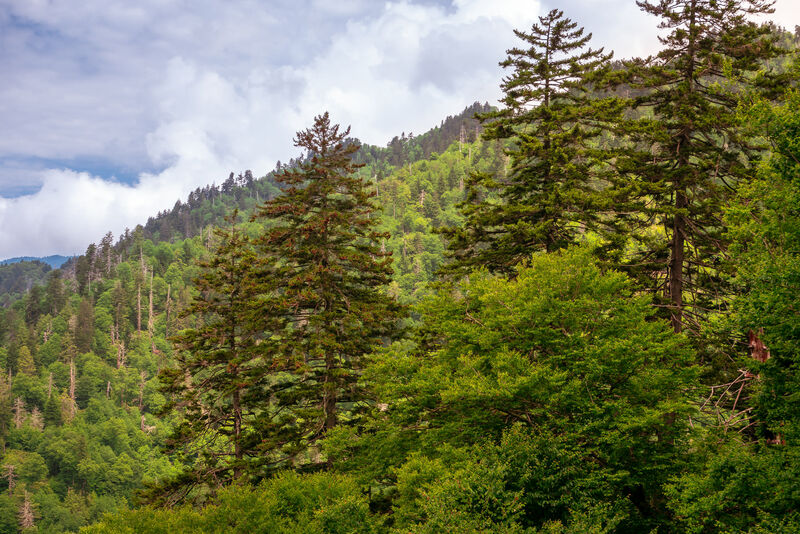 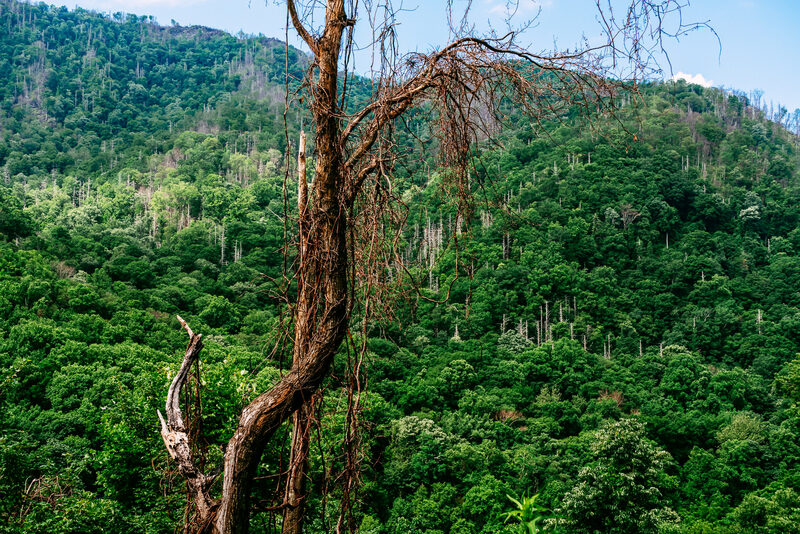 Trees grown on a mountainside in Tennessee’s Great Smoky Mountains National Park. 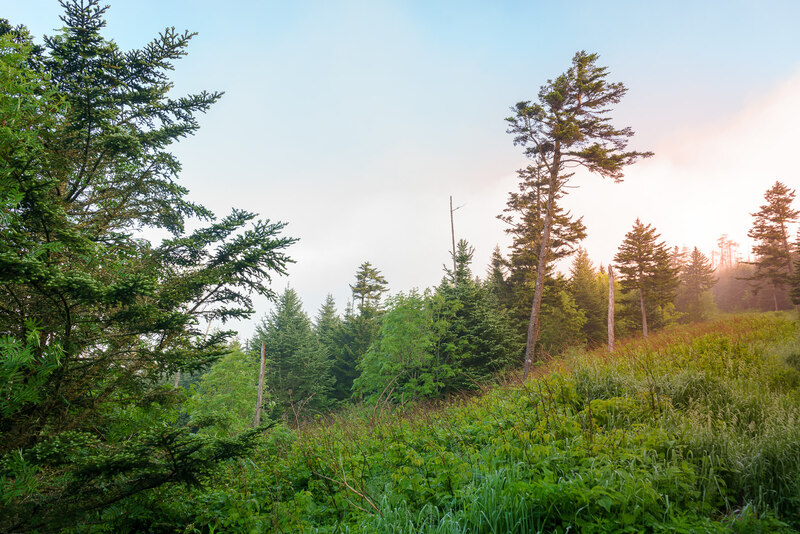 A aged tree spotted in the Great Smoky Mountains National Park, Tennessee. 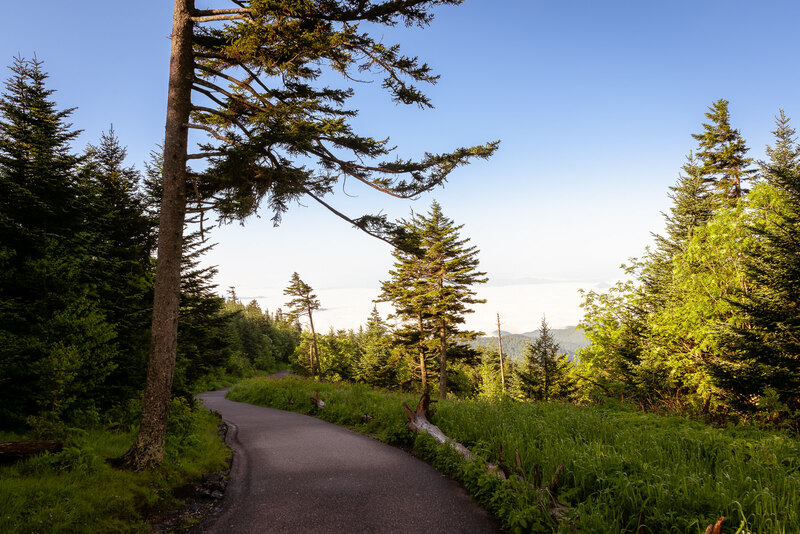 A path winds through the forest from the peak of the Great Smoky Mountains National Park’s Clingmans Dome. 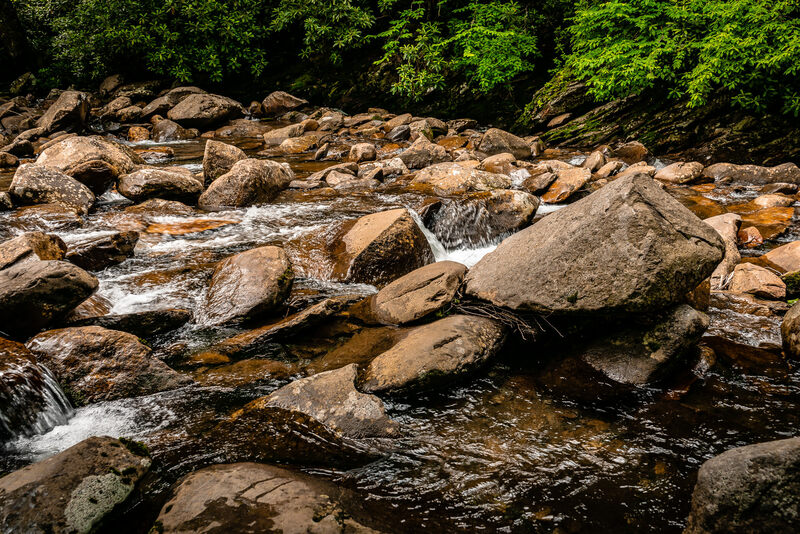 A stream flows over rocks in the Great Smoky Mountains National Park, Tennessee. 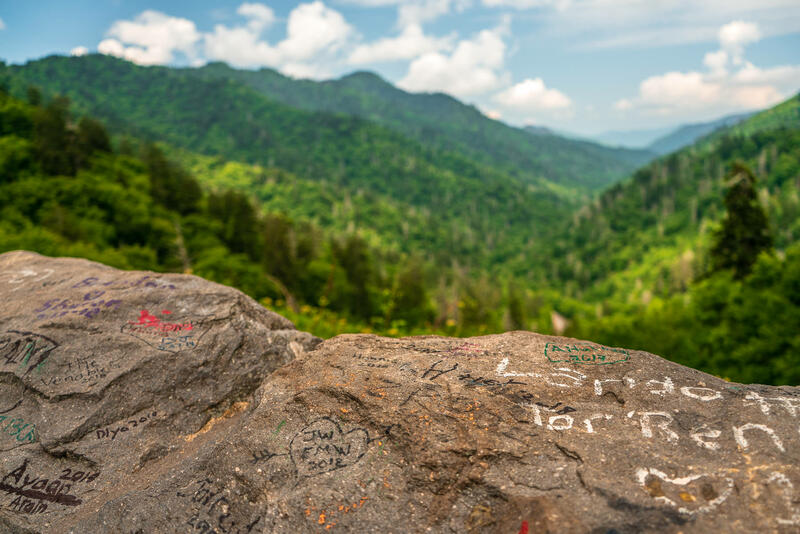 Graffiti-adorned rocks make up part of a retaining wall at a scenic overlook in Tennessee’s Great Smoky Mountains National Park.